It's not hard to find predictions of what's going to happen in the race for Texas speaker now that Joe Straus is not running for another term. But nobody knows what's next — and they won't for at least a year. The odds favor those who wager that a year from now, voters still won’t have a solid idea who will replace Joe Straus as Speaker of the Texas House of Representatives. The dominos began falling immediately after the five-term speaker’s announcement last week. John Zerwas, head of the budget-writing Appropriations Committee and a Republican from Richmond, quickly launched his campaign for the open speaker seat. He joined Phil King, the Weatherford Republican who jumped into the race when Straus was still looking like an incumbent who would be back for more in 2019 for the next regular session of the Legislature. The field is sure to grow. State Rep. Travis Clardy, R-Nacogdoches, told his local paper he’s interested. So is Eric Johnson, D-Dallas. More will join them, maybe before you finish reading this. It’s going to be a long list before it’s a short list, and there’s no reason for the House to settle this thing before next year’s general election. Think it through. Straus will be around for the rest of his term, which isn’t half over yet. He’s in the corner office until January 2019. The people who will elect his replacement have not been elected yet. Sure, most of the current members of the House will be back, but some will not — whether they retire voluntarily or are retired by challengers in primary elections in March or in general elections next November. The politics between now and the beginning of that legislative session should be fascinating. 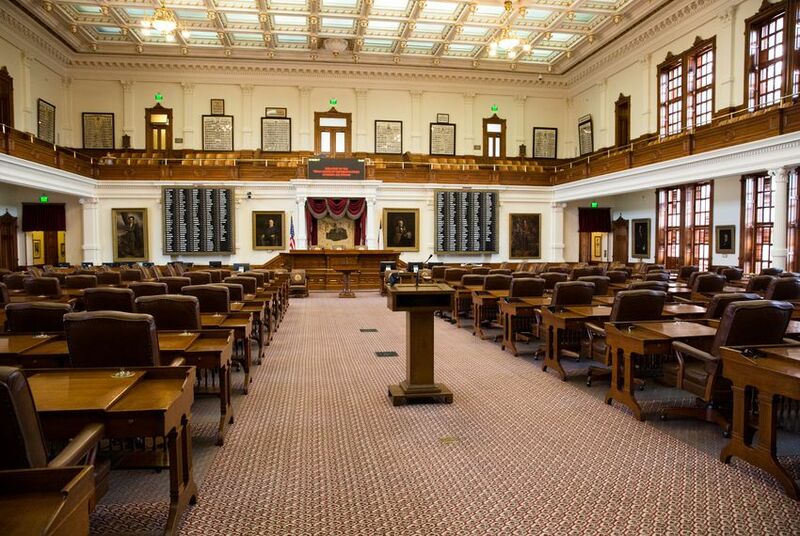 Only a few current lawmakers were in the House in 1993 — the last time Texas had an open-seat election for speaker. Pete Laney won after months and months of hand-to-hand politics — much more of it about personal relationships than about ideology or factional politics. That’s not necessarily the template for all speaker races — each one is different. Tom Craddick unseated Laney when Republicans won their first majority since Reconstruction. Straus beat Craddick in a House evenly divided on party lines and cranky about Craddick’s top-down management style. Straus is leaving at a time when his GOP is split into at least two groups and maybe more. Social and movement conservatives regularly complain that the legislation they’d like to see — much of it served ready-to-eat by the Texas Senate — never gets to the table. Business conservatives like Straus, on the other hand, are often glad that it doesn’t. Democrats, who now number 55 in a 150-member House, might seem to be out of consideration here. But a lot of their power comes from the split GOP. The race for speaker will go to the first contender who can put together 76 votes, and it doesn’t matter which members cast those votes. If the warring factions among the state’s Republicans can swallow their differences and unite behind a candidate (or if 76 of them can, to be precise about it), they’ll be able to disregard the preferences of the Democrats. If they can’t, they deal the Democrats back in — and the Democrats will play for whichever Republican contender will help them, or at least do them the least amount of harm. If this race turns out to be about ideology, the winning candidate will represent a compromise among the people who cast the votes. If they’re Republicans, it’ll be someone on a spectrum between the conservative and moderate members who cast votes. If those voters are a combination of Republicans and Democrats, the ideological pick would be a “Goldilocks choice” — not too conservative, not too liberal. Ideology isn’t everything. Craddick’s problem, for instance, wasn’t really about his politics. It was that members of both parties wanted to change the management style in the House. His strength was that members of both parties — most Republicans and a group of Democrats who became known as the “Craddick Ds,” liked the arrangements they had under Craddick. In the end, state representatives vote for the speaker they think will be best for them or, if they’re in the minority, will cause them the least trouble. The final vote will be based on the visits and conversations with the candidates — whoever they are — and the 150 voters in the House — whoever they are. The last pieces of the puzzle won’t be in place a year from now. They’ll be in place after the general election on November 6, 2018.